Congregation B’nai Avraham — Ed Kopel, Architect, P.C. 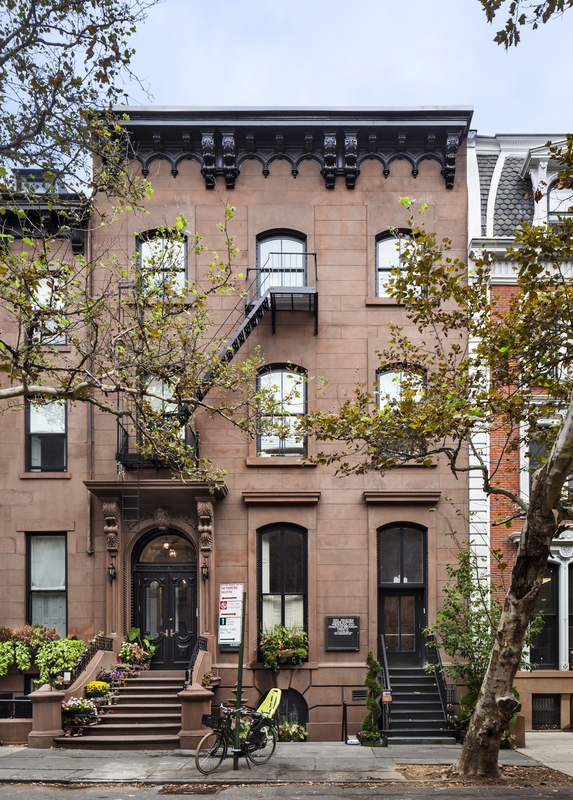 Located in the Brooklyn Heights Historic District, the primary façade of Congregation B’nai Avraham’s building was rapidly deteriorating and becoming a danger to pedestrians. The masonry was scaling, the steel was rusting, and the windows were inoperable. At the same time, the synagogue had serious concerns regarding security and had obtained a Target Hardening Grant from the U.S. Department of Homeland Security. The challenge of the job was to integrate target hardening strategies – such as bullet resistant windows and glazing – with the NYC Landmarks Preservation Commission’s mandate that the integrity of the wood and glass fenestration be maintained. The existing stucco façade was scaled and then re-coated with a new cementitious stucco screed. New wood windows were installed on the first, second, and third floors. The doors and windows on the first floor were glazed with Level 1 bullet resistant polycarbonate. On behalf of the synagogue the architect applied for and was awarded a NY Landmarks Conservancy Sacred Sites Grant.